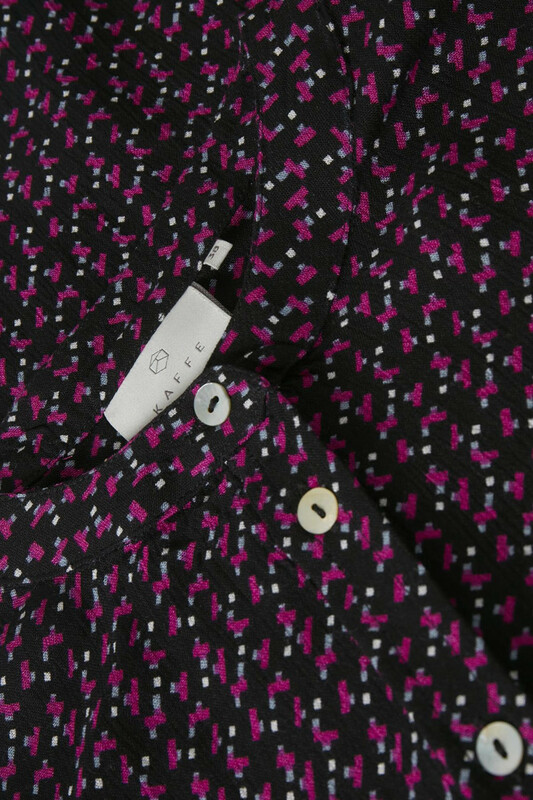 Trendy and beautiful shirt from KAFFE. 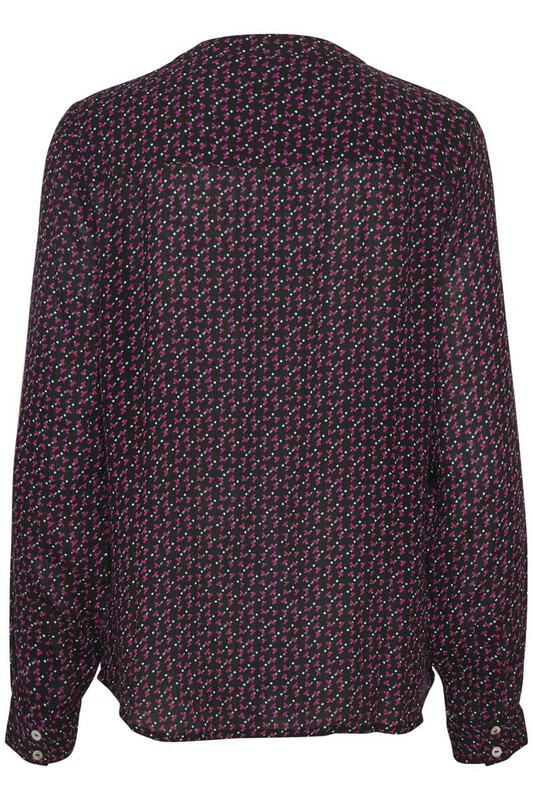 The shirt has this lovely print, a regular fit, long sleeves with button closure and a round neckline. The pleasant viscose quality of the blouse makes it really comfortable to wear and it feels light in quality. Because of the fine print, it can also be used open as a cardigan. 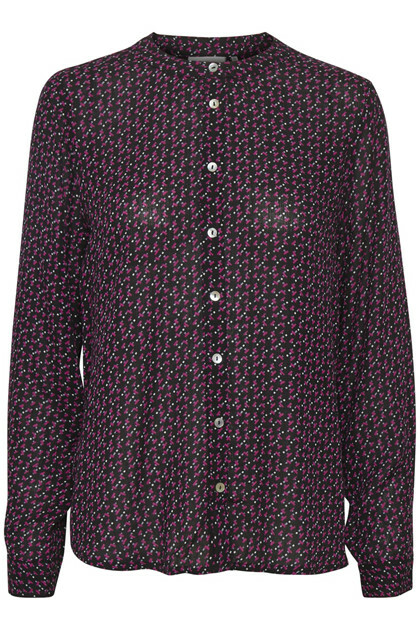 Undoubtedly a wonderful blouse that is perfect for any occasion.